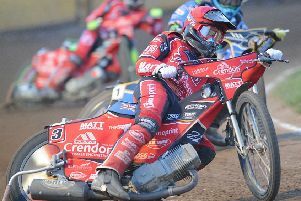 Tonight’s (June 14) Premier League clash between Peterborough Panthers and Workington Comets has been postponed. Promoter Ged Rathbone said: “The track has taken a hell of a lot of water in recent days and there is a lot more rain expected later today. A new date for the clash against the Comets will be announced once it has been agreed.